A Bachelor’s degree from any recognized university or equivalent is the minimum educational qualification to apply for HAS. The Academy invites successful candidates and specialized experts for each subject to take special classes under the guidance of Success Guru Naveen Pruthi to help students ward off their doubts and bring more clarity in subjects. 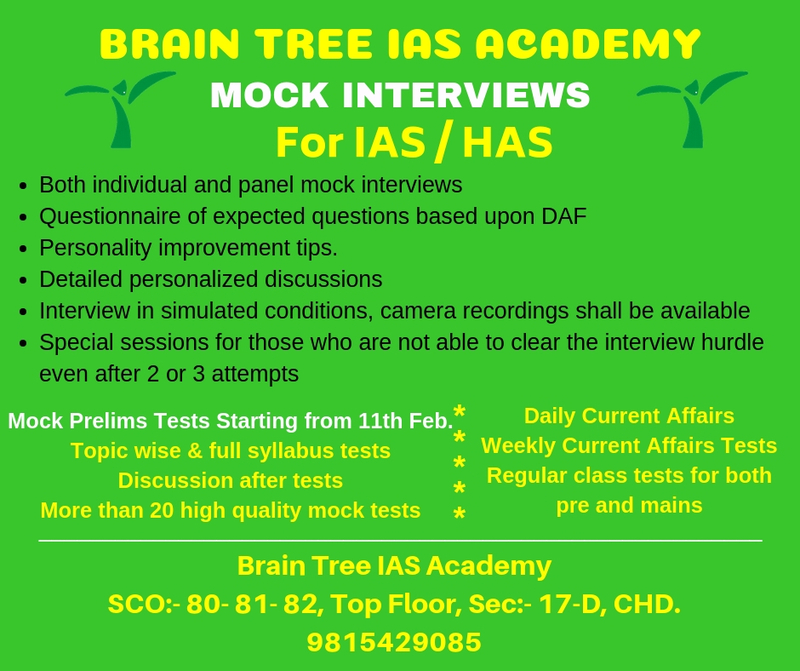 Brain Tree IAS Academy houses a panel of psychologists, personality experts, subject-experts and retired civil servants who conduct mock-interviews, scientifically examine the candidates and give valuable suggestions that instill unbeatable confidence in candidates for the HAS | PCS | HCS interview.